1 Bag Order - can only be added to another salt order... We will not deliver 1 bag separately. 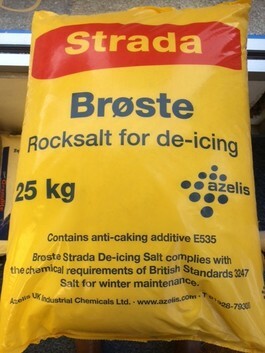 Clear De-Icing salt 25kg for use on paths and driveways. SINGLE BAG ORDER CAN ONLY BE ADDED TO ANOTHER SALT DELIVERY..